Could anyone tell me what spider this is please. 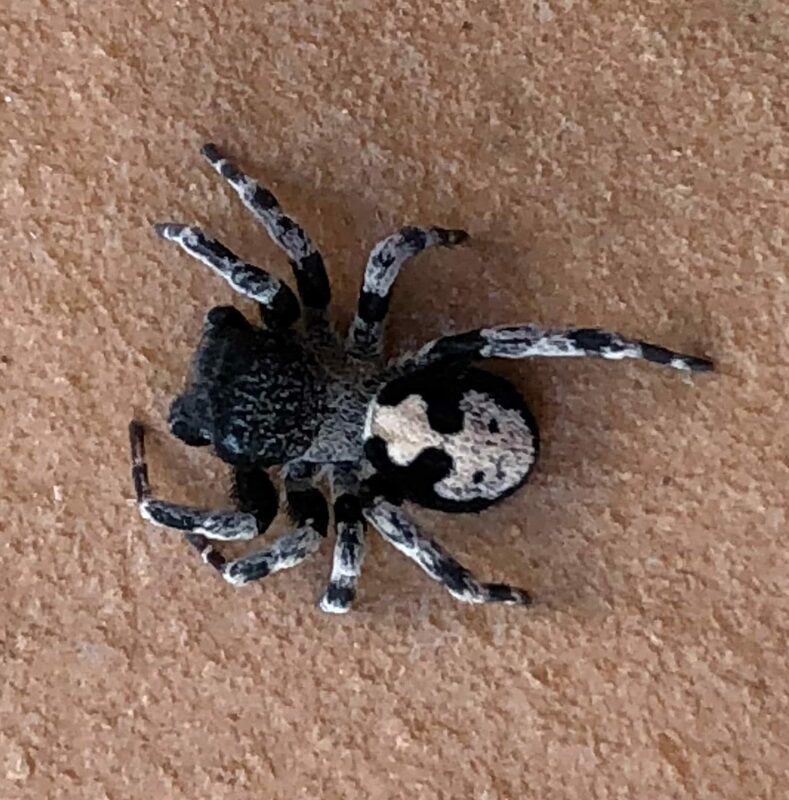 We are in southern spain and the spider was very small ( about the size if a pinky nail) and quite furry. This may be a kind of velvet spider, but I’m unsure. Love the skull pattern on their abdomen! Hi. Certainly Eresidae family, not big spiders, I find them adorable Harmless, docile, I want one. Over 75 species and lots of diversity and color morphs. There is a limited number of species in Spain, shouldn’t be hard to peg this, don’t expect the same colors or patterns though. This isn’t Eresus albopictus, Global distribution (WSC 2019): Morocco, Algeria.